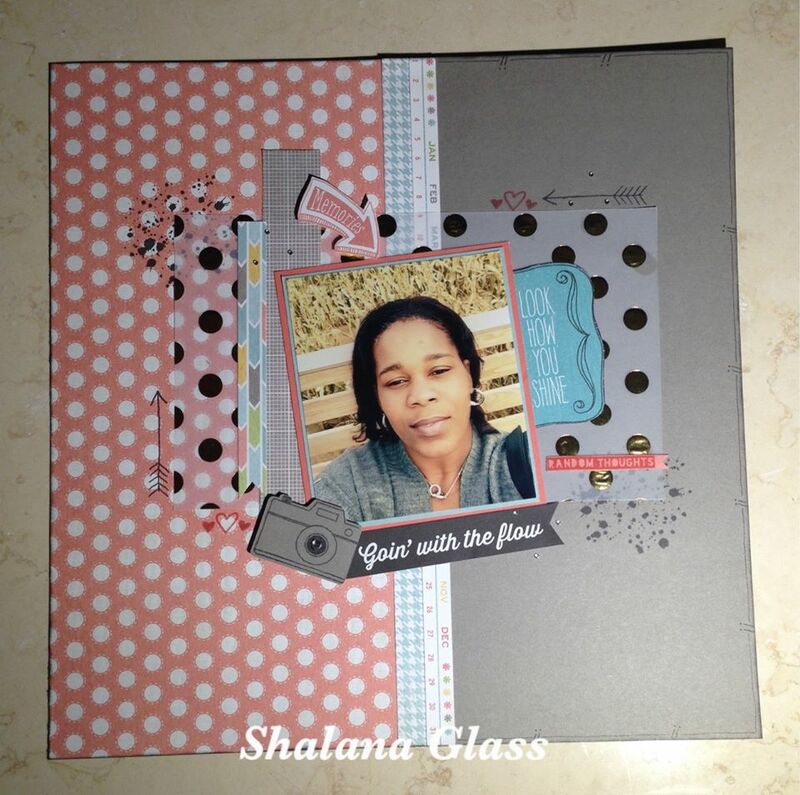 I took some time over the last weekend to make a few scrapbook layouts. I am in a challenge on FB where I committed to getting 26 scrapbook layouts completed this year. I know that doesn't seem like a lot and I may do more but I wanted to be reasonable with everything else I have going on in life. I love the CTMH Zoe paper pack. This layout was created using Zoe. I did add in a vellum piece of paper from an old special paper collection called Free To Be Me. 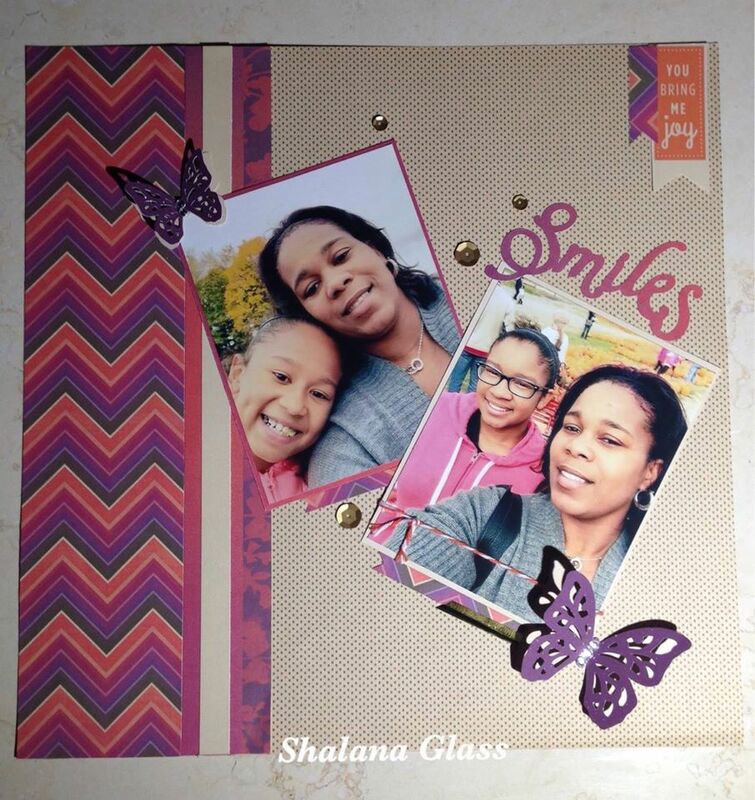 I used the Ink Blot, Documenting Moments stamp sets. I cut out title and pieces from a few project my life cards I had on hand. The camera was cut from the Artistry cricut cartridge and stamped from the Hello Life Scrapbooking stamp set. You have to love the colors in the Sangria paper pack. I captured the moment of my girls and I smiling as I took selfies. I used the Artbooking cricut cart to cut out the title "Smiles". The butterflies were cut at 1 1/4 inch and 2 inches from the Artistry cricut cart. I added some twine, sequins and a few banners. Quick layout ot put together. Thanks for stopping by and Happy Crafting!! Shop with me HERE!